January's no time to be messing about with detox diets and clean-eating crazes. It's a time for something hearty and soul-warming, for flaky-crusted pies soaked with thick gravy or vivid, chilli-bright curries. For the former, it's got to be Young Vegans in Camden — also on Deliveroo, for those extra-grey or extra-hungover days. And when it comes to curries, you're spoiled for plant-based choice. 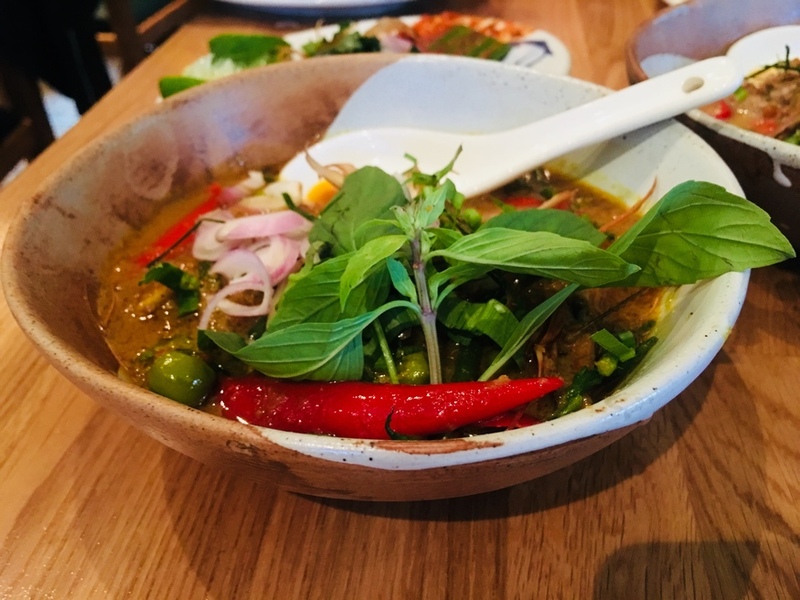 It's hard to beat the coconutty, Jamaican-influenced dishes at (entirely vegan pop-up) The Meet in Clapham, or the lovely and smoulderingly hot Thai food at Farang on Highbury Road (£40 a head for the eight-dish vegan sharing menu). And for crunchy-edged dosas and rice dumplings, make a beeline for the south Indian food at Sagar (with branches in Hammersmith, Covent Garden and Harrow). The menu at Persepolis in Peckham's regularly changing but consistently incredible; if the peach, chilli and barberry panfry dessert's on offer when you visit it'll make your January feel like Christmas all over again. And with a similarly changing menu there's entirely vegan Cafe Van Gogh in Brixton — expect winter classics like soups, stews and stuffed squash, with a not-for-profit remit that ploughs all the revenue back into their community projects. Proving that veganism doesn't have to mean a life of self-abnegation and cold salads, London has enough brilliant plant-based burgers, Kentucky fried seitan and vegan chilli-loaded fries to keep you elbow-deep in plant-based decadence every day of Veganuary. Biff's Jack Shack in Shoreditch and Rudy's Dirty Vegan Diner in Camden are dishing up vegan Americana by the hefty, fake-cheese-laden plateful. When it comes to burgers, you can roam freely around the 100% vegan menus at Karamel in Wood Green, Mooshies in Shoreditch and Temple of Seitan in Hackney. Likewise The Vurger Co in Shoreditch, where they've nailed the often-tricky vegan brioche. And if you like your diner-food to come with a gigantic sugar rush, make a visit to Canvas Cafe near Brick Lane for their insanely extra freakshakes. Street food's your friend here. And few places in London have a better collection — or higher concentration — of vegan street food traders than Greenwich Market. Among them the cakes and savoury pastries at Vegan Garden London, more vegan burgers via Veganauti, and Mediterranean-rooted quiches and tarts from the Arapina stall. Mr Falafel in Shepherds Bush sits in that sweet spot of vegan lunch options: hefty but wholesome. And for big, carb-heavy satisfaction, hit up VX in King's Cross for the Philly sandwich or the soya meatballs sub. It's thankfully getting easier to find a decent vegan option on your average London pub menu. But some pubs are taking it next level, with feature-length vegan menus or sometimes completely vegan kitchens. As you'd expect from pubs, they're all turning out substantial bar snacks for soaking up after-work boozing — and taking Sunday lunch seriously. 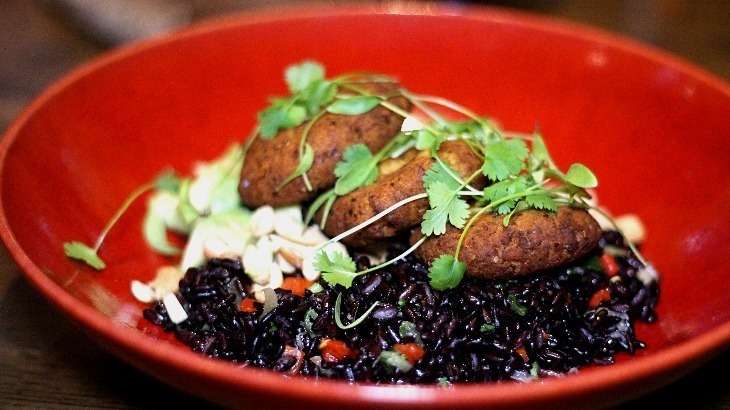 The recent revamp of The Bull in Islington came with a new menu of vegan small plates. Norman's Coach and Horses in Soho and The Full Nelson in Deptford are entirely vegetarian pubs, and favourites with vegan punters. And The Spread Eagle in Homerton's given the reins to Club Mexicana: their tacos are making the pub a hot enough ticket that you're probably going to need a reservation. And you can wash down the chilli (they're not shy with it) with anything from behind the bar — it's all vegan, with no finings in the beer or isinglass in the wine. Pizzerias are usually a great bet for impromptu vegan pitstops. Cheeseless menu standards like the marinara will be on offer (and brilliantly done) at any decent pizza joint: reliable favourites include Theo's (Camberwell, Elephant and Castle), Pizza Pilgrims (nine branches across London) and Franco Manca (more London branches than you can shake a stick at). But for those days when you want to go to a pizza joint and just stab your finger at the menu, knowing everything you land on will be vegan? 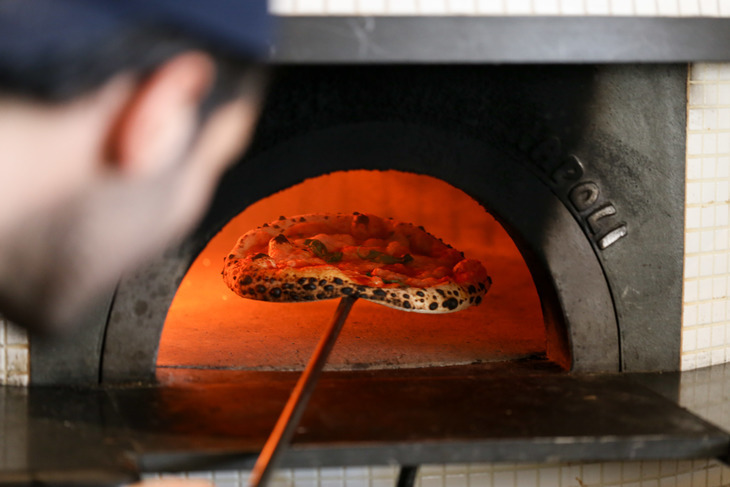 London has a handful of great pizzerias shoving 100% plant-based offerings into their woodfired ovens. Purezza in Camden and Fed By Water in Dalston are both regular favourites with vegans and committed carnivores alike. We've heard good things about the Young Vegans Death By Pizza joint in Hackney, currently just open Thursday - Sunday. 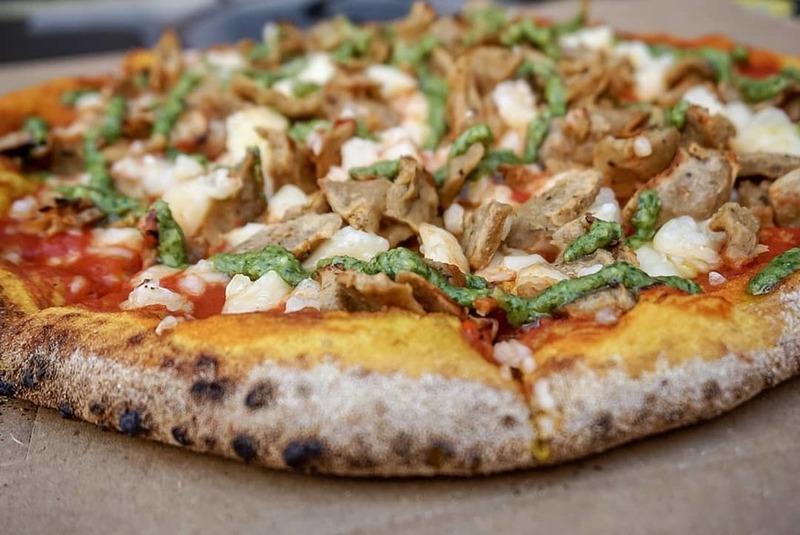 But our favourite of the vegan pizza lot so far? Picky Wops, with brilliantly chewy bases, a generous way with toppings, and branches in Peckham and Fulham. If a birthday, anniversary or big promotion comes along during Veganuary, you're still covered. London's special occasion options for vegans range from elaborate tasting menus to informal, candlelit spots. The steepness of the prices and the quantity of courses drop the tasting menus at Gauthier Soho (£70) and Texture in Marylebone (£97) firmly on the special occasion end of the spectrum. Mid-range options include long-serving darling of London's plant-based dining scene, The Gate, throwing as much artistry at their vegan menu as at their standard, all-vegetarian offering. And all-vegan Manna in Camden has a neighbourhood restaurant vibe, but attracts punters from across London with their British-Med-Asian mash-up menu. Mexican restaurants and taco joints are usually a great bet for plant-based dining, but Mestizo in King's Cross goes next level with a standalone vegan menu. The candlelight and short but on-point vegan menu at Clapham's Bistro Union makes for a perfect Veganuary date night. And if that birthday-anniversary-promotion falls at the start of the week we'd recommend making a dash for cosy, beautiful Oldroyd in Islington, where their meat-free Mondays menu features plenty of spectacular vegan options. January - February: The Auburizza's a Veganuary duet between pizza-slingers Yard Sale and vegan gurus The Vurger Co. Double-fermented dough, Tabasco-braised aubergines, cumin (vegan) mayo — and a whole lot of veg singing back-up. Get yourself to a Yard Sale, post-haste. 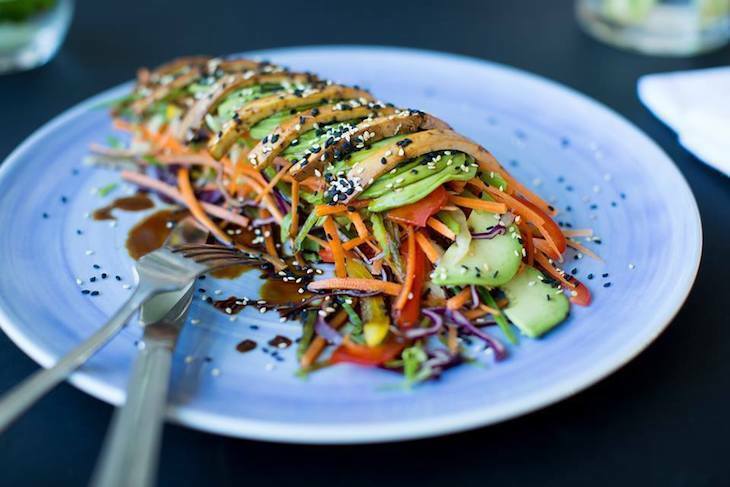 January: While Thai Square's always a good bet for vegans, this January they're offering a vegan set menu — three courses and a mocktail for £31 — making it a particularly good time to drop in for a plant-forward feast. 8 January - 3 February: All Star Lanes welcomes a month collab with Biff's Jack Shack. They call the sauce-slathered menu 'Filthy AF'. We call it about time the bowling venues had a decent veggie offering on the menu; here's hoping this will be the first of many. 10 January - February: a vegan set menu arrives at Bill's (branches across London), with three courses setting you back £16. 25 January: Vegan Burns Night in Hampstead. The haggis, the gravy, the revelry. Pure vegan. Pure genius. 27 January: Brixton Vegan Market. Starting at 11am, the first 2019 run of this monthly market promises live music, an array of street food stalls — and plenty of good vegan options in Pop Brixton if you want to stick around for the evening after the vegan market closes.